Your fan works hard to keep your home fresh and cool. It can run in conjunction with air conditioning and then continue to circulate cooled air after the air conditioning is turned off. It can create a cooling breeze and circulation that prevent hot air from building up indoors. And it can gather the dust, lint, and general dirt that builds up in any home over time. All this means that your fan needs regular maintenance and a routine spring cleaning, no matter the season. Take the time to periodically clean your fan so that it maintains its optimal performance and keeps your home cool for seasons to come. Remember to always use caution when it comes time to clean your fan. Always unplug your fan before cleaning. Never submerge your fan motor in water. Never let water, or your damp cleaning cloth, come into contact with the motor at all. If you’re unsure which part is the actual motor, focus solely on cleaning the blades and keeping all damp materials away from the fan itself. Each fan type has different cleaning instructions. Follow the instructions in your user manual carefully. Check out our FAQ section for more cleaning tips. Your tower fan is a sleek and stylish addition to your living space. By design, it’s also one of the easiest and most convenient fans to keep clean. 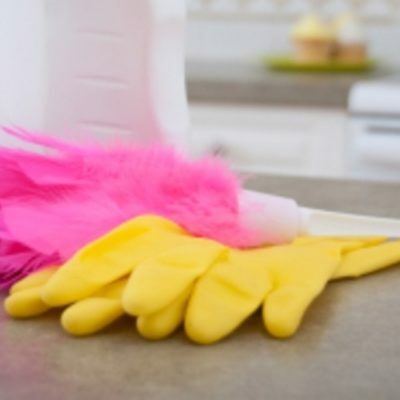 Thanks to its state-of-the-art design, all cleaning can be done with a vacuum cleaner or a can of compressed air. Unlike other fans that require removing blades and disassembling fan casing, a tower fan should not be opened at all. (It’s unsafe to do so and may damage your fan.) Every two to three weeks, simply use the brush attachment of your vacuum cleaner on the tower fan intake grills to remove lint and dirt, or use a can of compressed air to blow off dust from inner fan blades. That’s it! Your clean tower fan is ready to be plugged back in and get back to keeping your home breezy. Lasko air circulators that also require only a few tools for their regular maintenance. Fans like the 20” Wind Machine® Air Circulator Fan, 20” Cyclone® Air Circulator Fan with Remote Control, and Breeze Machine® fans can all be cleaned with a simple exterior wipe-down with a soft cloth. Use a vacuum cleaner with a soft brush attachment to clean dust and debris from the fan grills and blades every two to three weeks. For stubborn dust, use a can of compressed air to send a few quick blasts of air through the front of the fan, then vacuum the back again to remove any dust that was dislodged. To clean your pedestal fan, you’ll need to use a little elbow grease. Pedestal fans require disassembling the front and back grill casings of the fan in order to access the blades. To remove the grill casings, reverse the assembly instructions found in your product user manual. (Keep this manual handy since you’ll need to reassemble after the fan blades are clean.) Remove the blades from the fan before cleaning. After removing the grill casings and the blades, both can be washed with mild soap or detergent and warm water. You can immerse the blades and casings, or use a cloth to gently scrub them down. A soft, damp cloth can also be used on the other parts of the unplugged fan, like the base, but keep all liquid away from the motor. Wait until all parts are completely dry before reassembling. No part of the fan (even the stand or blades) should be damp in any way. Once dry, your fan is ready to be plugged back in and used. Much like pedestal fans, classic table fans and wall-mount fans with blades and grill casings can be removed for a thorough cleaning. Table fans like the Air Stik® Ultra Slim Oscillating Fan or the PLATINUM Desktop Wind Tower® , which are designed more like miniature tower fans, are exempt from these particular cleaning instructions. (See the tower fan cleaning instructions above for help with these fans, or check your user manual.) Wall-mount fans like the 20″ Cyclone® Air Circulator Fan are also exempt, since they fall under the air circulator category (see the air circulator cleaning section below for details). If your table fan or wall-mount fan has front and back grill casings that can be removed, do so after unplugging the fan. Reverse the assembly instructions found in your user manual to remove the casings and fan blades. Once removed, blades and casings can be immersed in water and mild detergent or wiped clean with a soft, damp cloth. Always avoid the motor when using water to clean. Make sure all parts are 100% dry before reassembling and use. Box fans are some of the most durable and tough fans found in the home. That means that they also require a little bit of elbow grease to clean thoroughly. Use a Phillips head screwdriver to remove the four main screws on the outside perimeter of the front grill casing. (Set these safely aside for reassembling.) Remove the front grill casing, exposing the fan blades. Each blade can be removed by placing a hand on each side of the blade and gently rocking the blade from side to side to loosen it. Once loose enough, pull the blade out. Blades can be wiped down with a soft, damp cloth and mild detergent. Allow blades to dry completely before inserting back into the fan, and make sure not to expose the fan motor to any water. Reassemble and you’re done!